So we have kind of had a crazy week. If you follow me on Instagram you might have already seen the craziness, but yesterday my daughter's school called to tell me that she had passed out at school and they had called an ambulance. Then I panicked a little bit. I rushed over to the school and found my very pale daughter being examined by paramedics. I followed the ambulance over to the emergency room and after several hours of evaluation and tests, and despite not having any significant symptoms, an x-ray revealed that she has pneumonia. She is home with me for the rest of the week while the antibiotics do their job, so I enlisted her to take a few quilt photos. I know these photos aren't the best, just remember that those little feet in the photo belong to a little girl who has pneumonia and whose mom is making her take quilt photos. I made this quilt with the fabrics that came in the Culcita box. I had left them out on my shelf and they were calling to me. The block is the Missouri Star block. I saw it on Pinterest this weekend and thought it would be a great fit for the fabric. The binding is scrappy and I used chunky, Perle cotton stitches to attach it to the back of the quilt. I have started finishing all of my bindings this way because it feels more secure, I enjoy it, and I think it gives the quilt a nice personal touch. 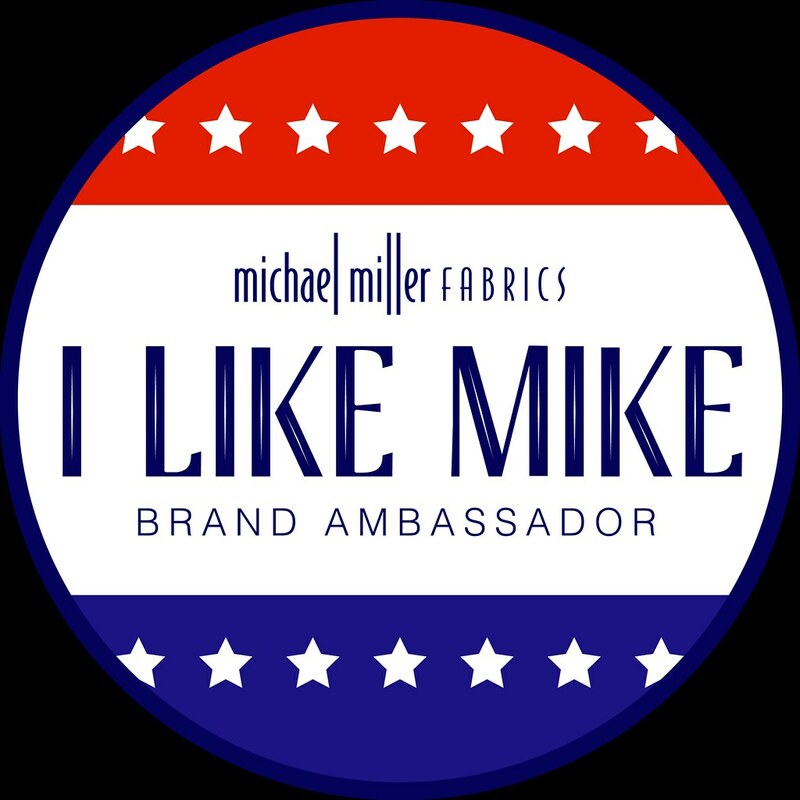 The backing is Kona Navy. I don't usually back quilts with solid fabric, but I thought it went well with the scrappy binding. I have a few inches of each print left, is anyone interested? I am continuing my quest to not be overrun with scraps, so I am happy to pass them on. If you are interested, just leave a comment on this post and I will choose a winner this weekend. The winner of the giveaway is Kathy E. I will email you for your mailing address. Hope your daughter recovers quickly. I like your quilt and that is an attractive way to finish the binding. No scraps for me!! I'm overrun with them. Love this, and the navy worked out perfectly, I think, to show off the grid quilting. I'm entering the scrap giveaway for my local friend, Mary, who doesn't have the budget for all the new and fresh fabric. Thanks!! Thank goodness it was something treatable... these things can put so much fear in parents!! I would love your beautiful scraps... I don't have anything like it!! Thank goodness she is ok-pneumonia is no fun but she'll be better soon. I'd love some scraps-your quilt is lovely. Your poor daughter! I hope she is feeling well very soon, but I recently read an article that said it can take (adults) 3 months to completely recover from pneumonia (boo!) so don't be surprised if it takes awhile to get back to 100%. Luckily kids are more resilient! Blessings to your daughter for a quick recovery! What a scare it must have been to get that call! Loving that fabric and know it would look great with my current scraps to make a scrappy rail quilt. Send 'em here! I'll take any and all scraps! I had almost that exact same experience when I was in junior high. So embarrassing! But, the antibiotics turned the tide fairly quickly. Hope your daughter's experience is the same, minus the embarrassing part. I would love your scraps...I have been doing more with blue lately. Hoping your daughter feels better soon. I and 3 of my friends have had pneumonia this winter. It's going around like crazy this season and is no fun. Hope she's better soon! Oh yeah, I LOVE scraps! Thanks for the chance! Great quilt you've made there, for sure! 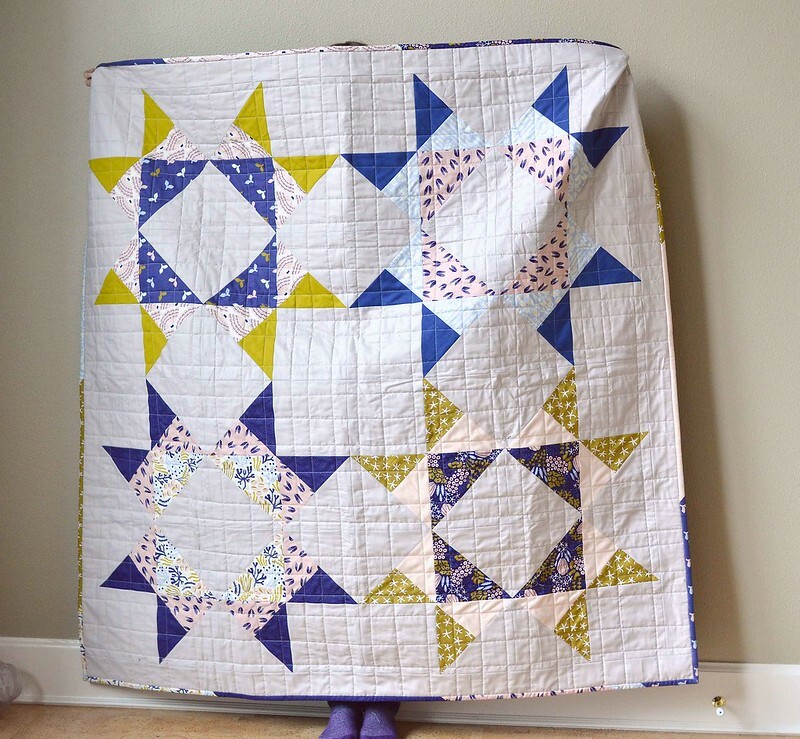 Love your quilt and yourbinding looks great! What a good idea! Beautiful quilt!! Thank you for the scrap giveaway!! I hope your daughter gets well quickly. It must have been a very scary time for her.I would love to have the scraps. Thank you for the chance. Hope your little one is better soon! I'm always happy to adopt any and all scraps for our quilt ministry group. Mt hanks for offering them. Such a lovely quilt! Sorry you had a scare with your daughter and glad it turned out to be something that meds and rest will fix! I would love the scraps! I love scraps. That had to be a scary drive to the school not knowing what was wrong with your daughter. Glad she will be well soon. My prayers are with your little girl as she recovers. Also with you on the worry level. Hope to win your scrap stash. I think the choice of kona was great for the backing. Yes...need scraps..beginning quilter always looking for inspiration. Enjoy the time with your daughter. I'm happy to adopt some scraps anytime! Pneumonia can be scary. Hope your daughter feels better soon! Me me! Love this color palette. Hope your daughter is feeling better! Sorry you've had a rough week! Beautiful job on the quilt. Lots of pneumonia going around! Take care! 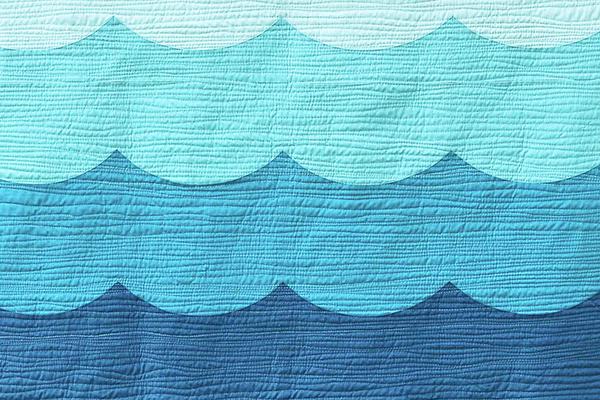 You made a brilliant quilt with these lovely fabrics. Thanks for the inspiration and for sharing the link. Even if I don't get the scraps, I'm winning here! That whale tails are gorgeous!!! Hope your daughter will be fine in a few days. Hope your daughter is feeling better and she is a great quilt holder. 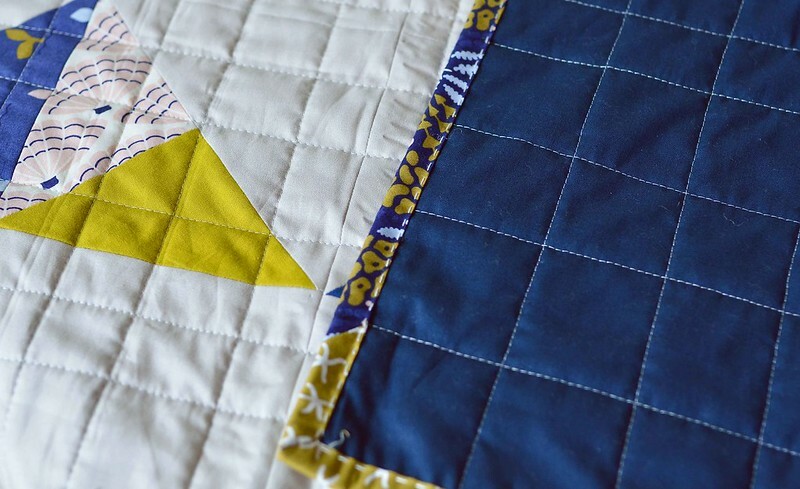 Your quilt is gorgeous and I love the quilting. As far as scraps they make great small projects. I have been making a few with half square triangles that I have cut off strips. The blocks are as small as 1 1/2 inch and 52 plus blocks. No waste! Pneumonia...UGH! I experienced that a few years ago and wouldn't wish it on anyone ever. But, your scraps are on my wish list. Thank you for the chance. It's amazing how resilient the young are. You had no idea your daughter had pneumonia, until a terrifying school call. My son was the same way. We had no idea he was sick unless one of us touched his head for some reason other than temperature checking. We learned to check when he stopped talking... And I'd love your scraps. They would fit right into a BOW I'm following. I'd love to house your scraps! I'm working on my scrap bee blocks and and love the idea of extra scraps...because I'm NOT going to cut into yardage for a scrap project!!! 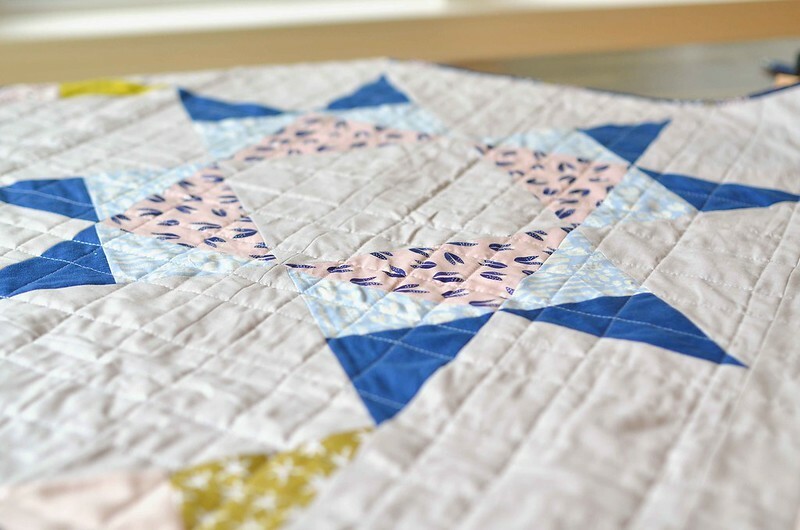 Love quilts with blue! Will pray your daughter recovers quickly. My friend and I use lots of scraps! Thanks! I love incorporating scraps into everything. Plus I do some charity sewing where I love to steal from my stash to round out the kits provided by my sewing guild. Having random scraps just makes it easier to find something that works! Hope your daughter feels better. You made such a nice quilt. Scrap fabric is always useful. Good luck everyone!! I hope your daughter is feeling better - pneumonia is scary! Not sure if you want to ship to Canada, but I would love those scraps! I am new to quilting (I have made two so far) and have such grand plans for future quilts. I love the colours of the quilt. The fabric is gorgeous. Beautiful quilt! I hope your daughter feels better! Hope your daughter gets well soon. I would love to take your scraps! Hope your daughter is feeling better. 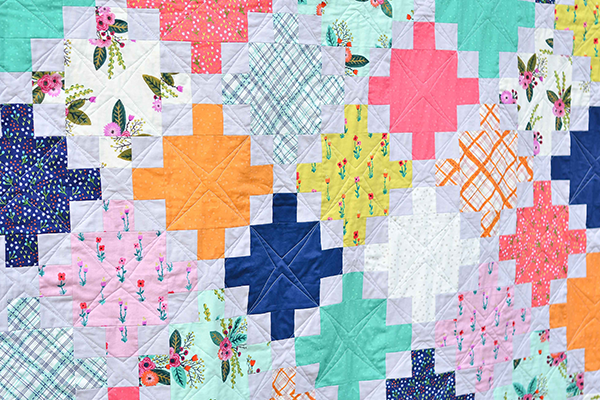 Absolutely love your quilt, more so because you have scraps left. Please put my name in the hat for the scraps as I love scraps. 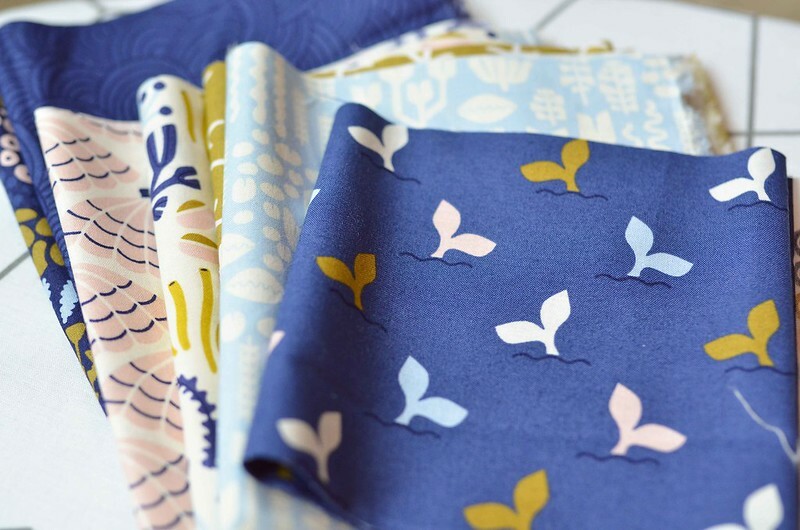 Hoping your daughter is better soon - love how you have used these beautiful fabrics! Hope your daughter is doing much better!!! Poor baby! And poor mommy! I would love to have your scraps as I have been on a extreme fabric diet for some time now. Great quilt too! 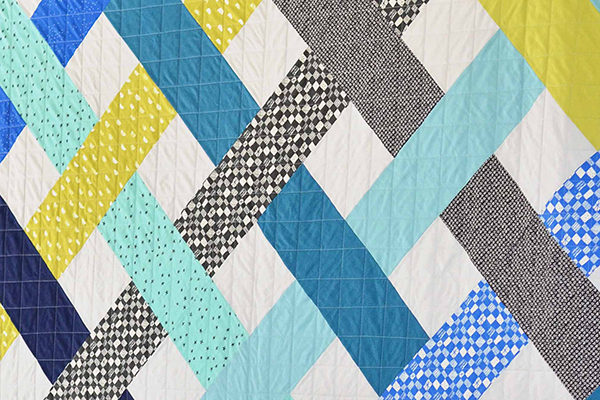 Love this quilt. Sending get well wishes to your daughter. So glad your daughter is on the mend! Nothing like an emergency at school to shake us up a bit! Pneumonia is a sneaky little bugger. You cannot know you have it until it makes you feel bad enough to go to a hospital. Cheers to her being a helper and I hope she gets better real soon. Someone who doesn't wanna accumulate scraps. My hat is off to you. But I love to play with other's scraps. Especially the ones that made such a pretty quilt. Love the whale tail fabric. BTW if they didn't tell you for a while after the symptoms go away you need to keep her hydrated. I had a doctor suggest that I be aware of fluid intake for a year. Probably overkill, but hydration will be important. Are you kidding me? You want to give away those yummy fabric scraps? Those are beautiful and so are your quilt. What a scare but sure am glad she is ok. I am proud to say I am a SCRAPPY QUILTER - and would LOVE your scraps! Prayers for your Kiddo...& Hugs to you too! Hoping your daughter recovers soon. I love playing with other people's scraps. I would love to use the scraps in the prayer quilts I make for my church's ministry. Blessings on your mama heart and the health of your little one! Thanks for your generosity! Lovely Quilt and Lovely Scraps (I know just what to do with them)!...hope your daughter is feeling better. Love the quilt and the fabric. Thank you for this giveaway. Wishing your daugther well. Such a scary call to get as a mother. Wonderful quilt! I'd love the scraps, too!... The scraps would be perfect for the quilt I'm planning/gathering fabrics for right now! Get well soon wishes for your daughter's rapid recovery!!! I found you on Crazy Mom Quilts. I think I am using a pattern you designed for my daughter's quilt! 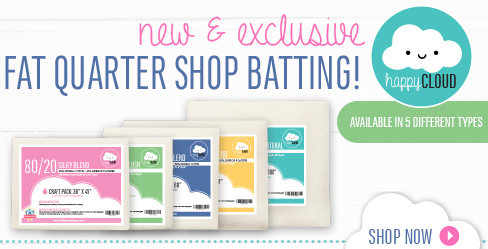 I am a scrap lover and would be thrilled to get some scrappy happy mail! Pretty pattern! Hope she feels better!